If you wear glasses, you know the pain of misplacing them on occasion. 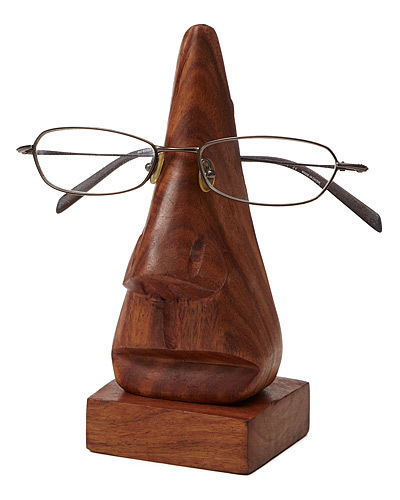 Well you can hang your lenses on the cool and decorative Eye Glasses Holder Statue. This is handmade of sustainable Shisham wood (native to India) by Indian craftsmen. The statue was created by the non-profit “HSSS,” which helps underprivileged, impoverished, and handicapped artisans. So find your glasses while helping others! Yankee fans, you can have a piece of history in your own home! Yes, these are a pair of Authentic Yankee Stadium Seats from the old Yankee Stadium. 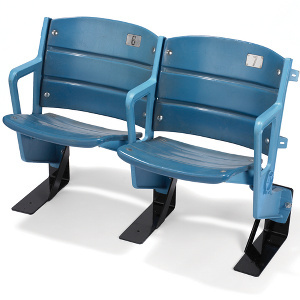 These classic light blue chairs were removed before the stadium was razed. They have the original fold-down plastic seats, backrests, and seat numbers. They are mounted to stand upright, have repainted armrests, and come with a letter of authenticity. You don’t need a giant bookcase to display your favorite books. Make them seem like they’re floating against the wall with the Conceal Shelf. This shelf is affordable, cool, and uniquely designed by Miron Lior. Mount the powder coated steel shelf on the wall and it becomes invisible once you place your books on. Your guests will do a double-take to check out why your books look like they’re resting on air. 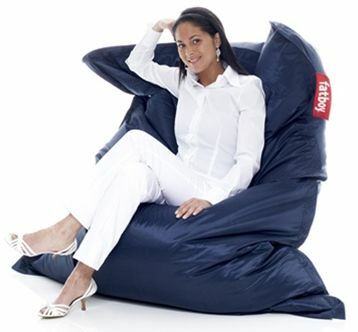 Sit, lounge, and relax on the Fatboy Bean Bag Chair . Once you sit down on this super-comfy bag, you probably won’t want to get up for a while. You can even lay it flat and take a a nap. This bag has a nylon exterior with protective coating to resist water and stains, and is filled with polystyrene beads to give a soft and supportive feel. Measures 70″ long x 55″ wide x 8″ high, and comes in a variety of colors. Welcome your guests in, and send them off with a good laugh with the Come In / Go Away Doormat. 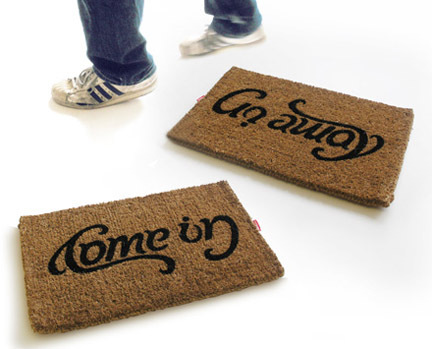 The mat reads “Come In” when reading from one side, but reads “Go Away” on the flip side. So your guests will see a different message depending if they are coming or going. This unique, clever doormat will give your doorway a bit of personality and attitude. Listen to some music outside with the Acoustic Research AW825 Mission Style Wireless Speaker from Audiovox. 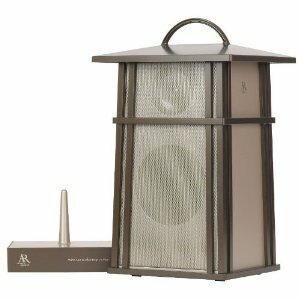 This speaker will blend in with your outdoor setting and patio. Connect the transmitter and mini-jack to a stereo, ipod, or computer, and broadcast your music to the camouflaged wireless speaker. Great for BBQs and outdoor get-togethers. 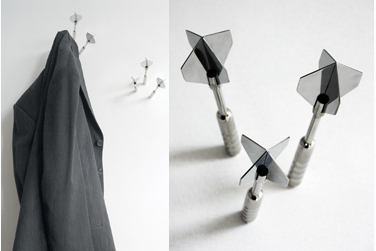 Hang up your jackets and hats on these cool Dart Coat Hooks, designed by Anthony Chrisp. These are made of chromed steel with a screw-in wall fixing, and comes in packs of 3. So give your entrance-way or hallway, a bit of fun with these nifty hooks. Makes an eye-catching decoration for visitors. These would also look perfect in a mancave or gameroom! Remember the Rubik’s Cube – that frustrating seemingly unsolvable puzzle? 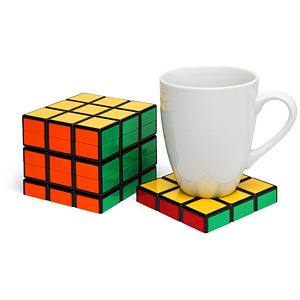 Now you can protect your tables from glass rings with these cool Rubik’s Cube Coasters. These unique coasters come in a stack of six which complete a full cube. So add some fun and color to your decor with these. Makes a great gift for the geek, puzzle addict, and the 80’s aficionado. Skaters will love this! 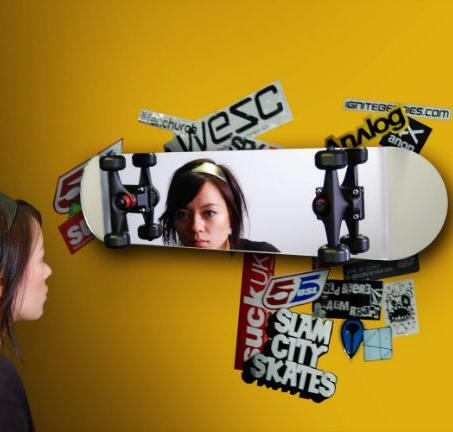 Fix yourself up in morning before hitting the ramps with the Skateboard Mirror. The mirror is made from mirrored glass and stainless steel. It also has genuine skate trucks and wheels. You can hang it horizontally or vertically. Just remember, don’t skate on it, it is a mirror. You wouldn’t want to break it and get 7 years of skating bad luck! Display digital pictures with the ViewSonic Digital Photo Frame. 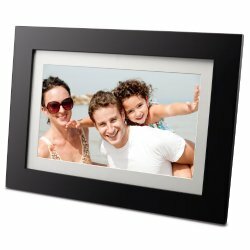 This photo frame will showcase your digital pictures in various slideshow effects. It has 128 MB of internal memory and also supports most memory card readers. It makes a great gift to share all those precious memories. Easy to use with good picture quality, and at an excellent price. 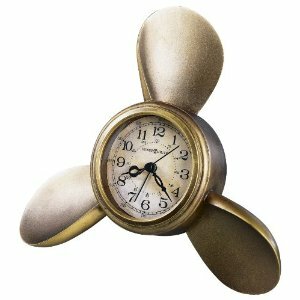 Wake up to the Propeller Alarm Clock from Howard Miller. This clock is uniquely shaped as a polystone ship’s maritime propeller. It has an antique parchment dial, satin-silver bezel, with glass crystal, and finished in antique copper. It can be use as a table clock, or hung on a wall as decoration as well. Great gift for sailing and boat enthusiasts.